The revolutionary Demko Bed-System, ‘The Healthy Comfort’ concept has been developed and used in spine and orthopeadic clinics for the prevention, treatment and rehabilitation of back problems, back pain, spine and locomotor diseases. It is the ultimate solution for perfect posture and for the preservation of spine health. The remedial and preventative qualities of the Demko Bed-System go beyond any health benefits of other orthopaedic bed-systems, memory foams or box sprung mattresses. Furthermore, it gives the ultimate comfort for all age groups. 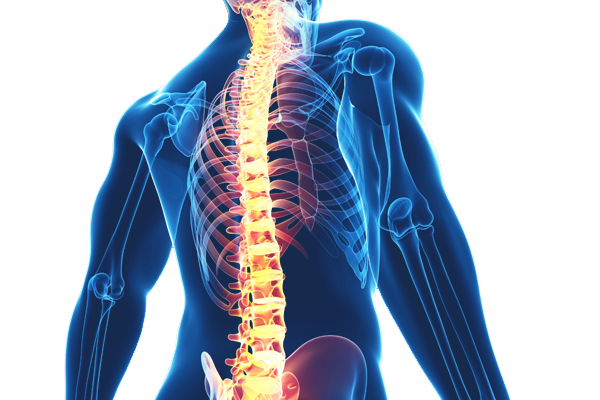 As the spine and body are flexible they need flexible support – a truly orthopaedic one that adjusts automatically to each individual body and how it moves. The multi-directional, independently moving, double row slat base under the mattress adjusts ergonomically to the contour and weight of the body at any position. The slats are made of white beech wood which go through a special steaming and cooling process to make them strong and flexible at the same time. The strips between the slat rows are made of a special durable foam material in special canvas cases. 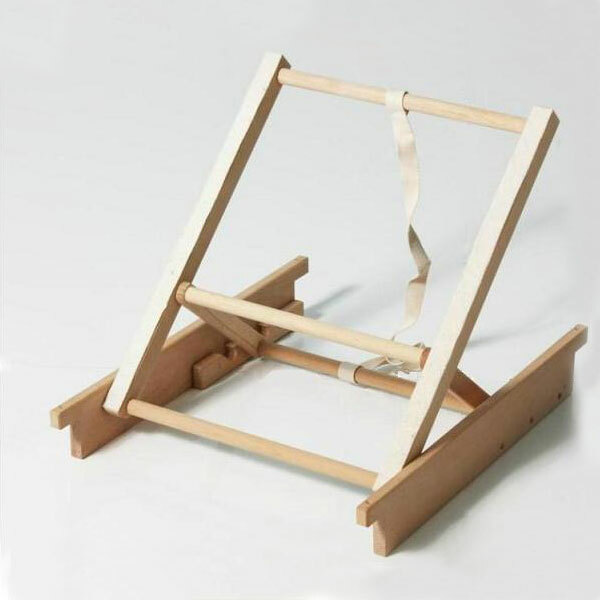 Its special finish and suspension means they are able to carry out vertical, transverse and rotational movement. 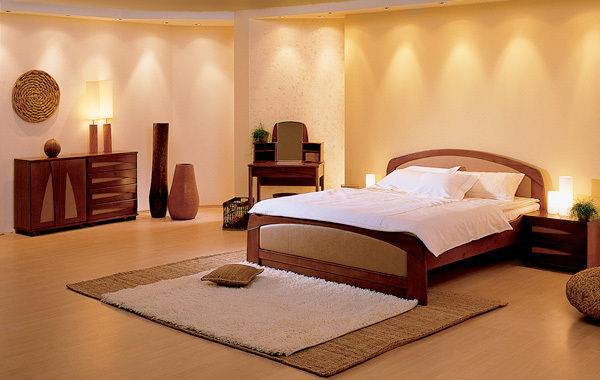 Regardless weight, shape or position on the bed, it always keeps the spine in the ideal position. As the slat base can move in all 3 dimensions depending on the customer’s body shape it makes perfect weight shifting. 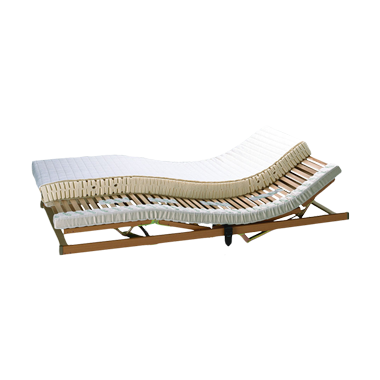 As the slat base adapts perfectly to the shape of the body it gives perfect, equal support to the spine along its full length and exceptional lower back support. The vertebral discs will take up the optimal position during sleep, thus decreasing the load strain and thereby ensuring that no harmful tension points develop. As the Demko Bed-System evenly distributes the weight on the bones, the ligaments, the muscles linking them, the muscles surrounding the spine and the area around the joints the blood supply will be perfect as will be the removal of inter-tissue waste material through the veins and lymph vessels. At the same time the slat base also stretches the spine longitudinally, moving the vertebrae and articular discs away from each other, the arteries are straightened out and the local blood pressure will decrease and supply of nutrition to the articular discs will increase. We spend an average of 6 hours out of 24 in bed, which would amount to around 20 years during our lifetime. The situation is very similar on a too firm bed, but the negative effect occurs in a different section. By sleeping on Demko Bed-System you can use your sleeping hours to cure your spine opposed to on sleeping on a too soft or too firm bed where your vertebral discs are being damaged night by night. This makes a huge difference as we spend 1/3 of our life in bed! The bed-systems come with our specifically developed organic mattresses which are designed to take advantage of its orthopedic benefits and to give you the ultimate comfort. For person under 16stones / 100kgs we recommend a 10cm organic latex mattress and above 16stones / 100kgs we recommend a combination mattress of 3,5cm organic latex – 3cm coir fibre – 3.5cm organic latex. The coir layer in the middle provides extra support. 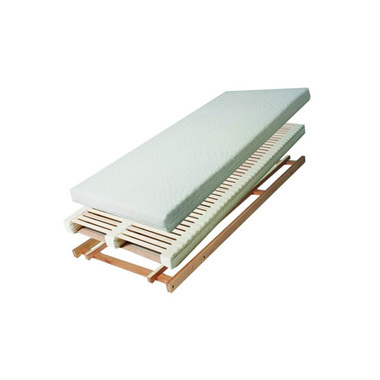 We do not use any thicker or firmer mattress on the slat base as it would decrease its effect. In king or super king size beds we always put two single bed-systems so they can work independently for each bodies.